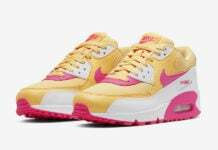 The Air Max sneakers from Nike are so prolific, that they now have their very own holiday (March 26th, in case you’ve been under a rock). 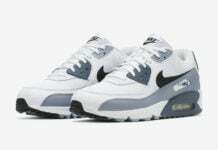 Now 27 years old, the Air Max is still thriving in today’s footwear scene. 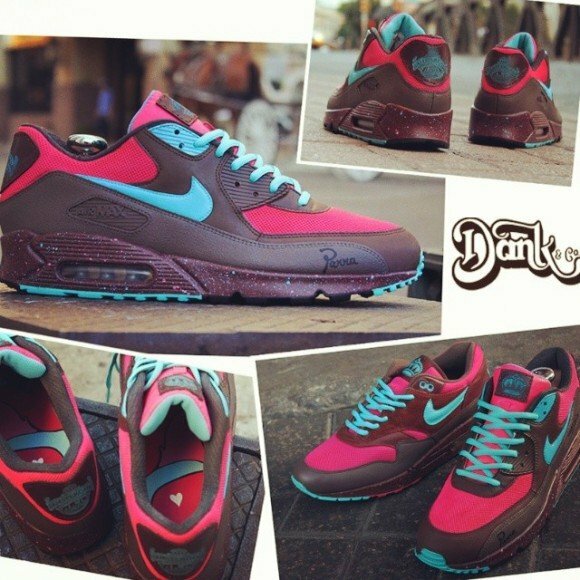 Today, we’re getting a look at new Air Max 90 customs, from San Antonio-based sneaker artist, Dank Customs. 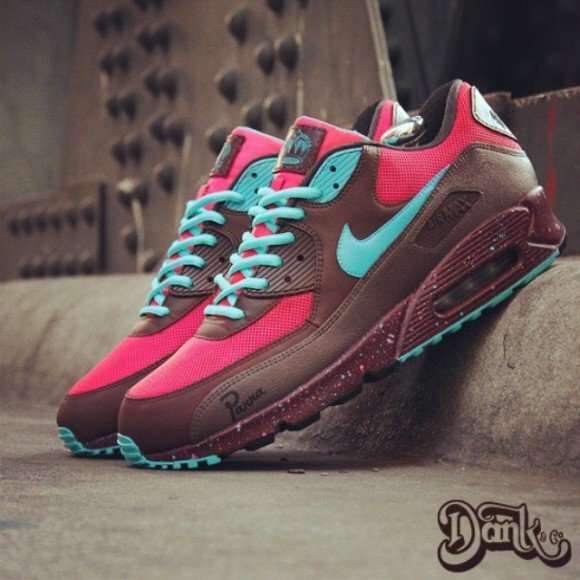 The Nike Air Max 90 “Amsterdam” customs by Dank Customs are mostly brown, with raspberry and light blue accents present all over the shoes. Select panels, like the toe box and ankle collars, arrive in rich, raspberry tones. 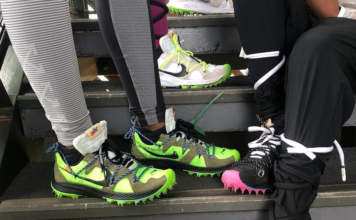 Making a nice splash of excitement on the dark brown and raspberry colored shoes, are light blue accents, which attack the Nike Swoosh, lacing and outsole. 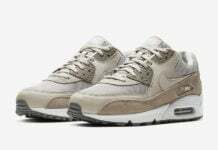 The usage of light blue continues on to be splattered along the brown midsoles, and on the branding located on the heel tab. Crown logos appear on the tongue branding for a finishing touch! I’ve yet to see a colorway like this one. I love the overall dark tone, because it only helps to make the blue and raspberry tones stand out. Also, the dark colors used give these shoes a sense of luxury. These were a 1-of-1 custom job, but check out more projects by Dank Customs on his site now!